The Test Network feature on your Ning Plus or Ning Pro Network is a great wayÂ for you to try out appearance and other code changes before applying them to your live Ning Network. Test networks are private and can have up to 10 members to help you view any modifications from different types of accounts.Â When you create a test network, you are given a blank slate version of your network. 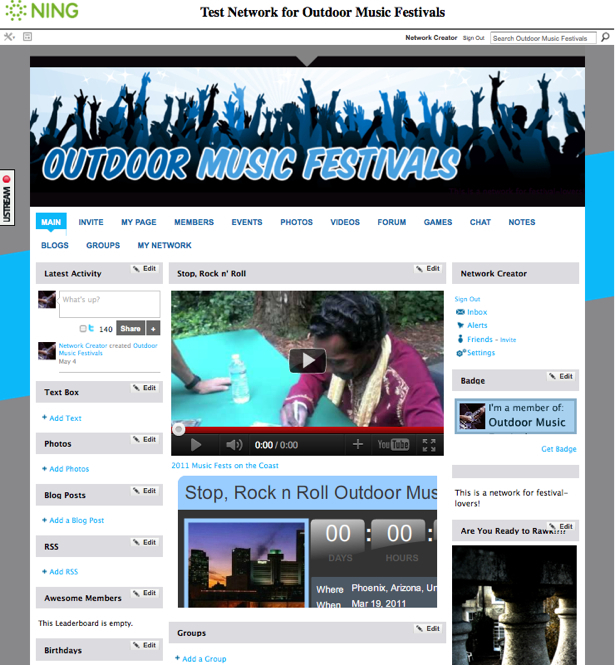 In this example, the content you see on the main page is content that has been added to the text box on the live network, but has been carried over. Note the empty Photos, Blog Posts and Groups modules. 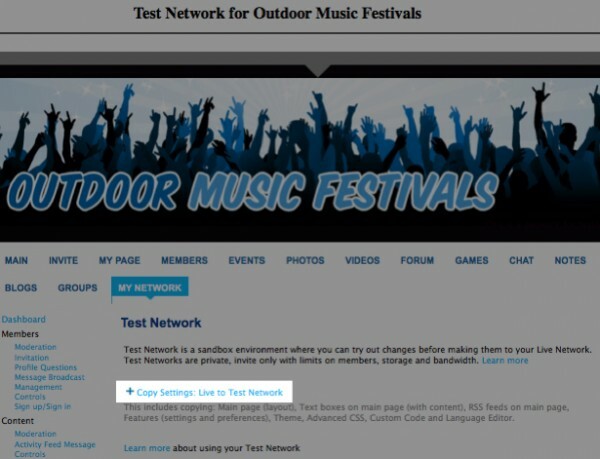 When you create a test network, it reflects your live network’s plan and appearance, but will not be populated with other content.Â Any content that can be added to your live network, however, can be added to your test network to help modify itsÂ format and appearance. Test networks are designed to be staging environments and can support any regular content for testing purposes. As a useful testing environment, they are intended solely for this purpose and do not come with the same storage and bandwidth quotas of live Ning Networks.